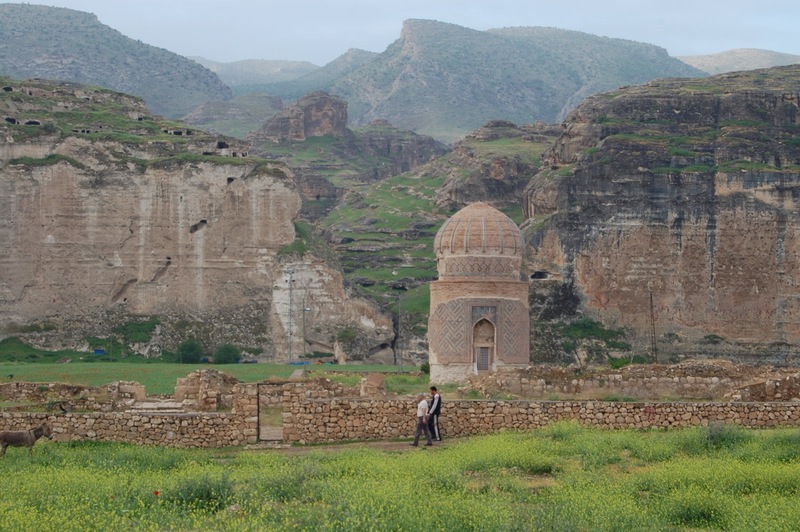 Bresser Eurasia (a subsidiary of the Dutch firm Bresser) and Er-Bu Inşaat (a Turkish firm) are rapidly preparing to relocate the Zeynel Bey Tomb from its centuries-old location along the banks of the Tigris River in Hasankeyf. The partnership between the two companies was signed during a Dutch trade mission to Turkey in December 2015, "Turkey and the Netherlands: Partners in Sustainable Development." Most work at the site of the tomb has now been finished, including the insertion of beams through the base of the structure and the pouring of a concrete foundation around the base of the tomb. This new foundation holds vertical pipes, which form part of the hydraulic system for lifting the structure. The tomb will lifted onto a trailer and moved two kilometers in eight hours. Work on the foundation at the new location is nearing completion. The special road being built for the removal operation is also fast approaching completion, and the transfer may be completed within a matter of weeks. Local people in Hasankeyf have expressed concern about the tomb’s condition and the risk of the relocation operation. Earlier this month, the Initiative to Keep Hasankeyf Alive issued a statement emphasizing its concern about the risks of the project and criticizing the failure to consult the public about the relocation plans. Last year, Hasankeyf mayor Abdulvahap Kusen from Turkey's ruling AK Party told reporters, "If we break it [the Zeynel Bey Tomb], the symbol of our historic town, we will be disgraced before the world." High-level government officials have also noted the extremely fragile condition of the tomb. In a 2012 press release on the DSİ (General Directorate of State Hydraulic Works) website, Minister of Forestry and Water Veysel Eroğlu referred to the delicate condition of the tomb, saying, "If we throw a stone at the Zeynel Bey Tomb, it will collapse." 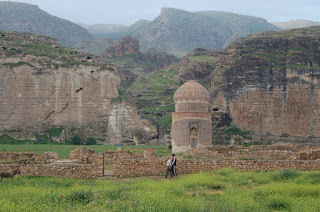 As the only example of Timurid-style architecture in Anatolia, the Zeynel Bey Tomb is a visually compelling monument to long centuries of cross-cultural interaction between Turkic and Aryan civilizations in Upper Mesopotamia. Its removal to a site where it will be dwarfed by modern buildings, including an oversized adaptation of Anatolian Seljuk tombs (typical of the Anatolian Plateau but quite rare in Upper Mesopotamia) will severely diminish its majesty and significance. In a 2006 comment criticizing the government's plans for the open-air museum where pieces of eight historic buildings from Hasankeyf (including the Zeynel Bey Tomb) are to be displayed, Professor Zeynep Ahunbay, the lead plaintiff in a case currently before the European Court of Human Rights, said, "This destructive transfer operation can not be accepted as an act of preservation or salvage; it will create a sad caricature (!) of the real thing."